Welcome to the Evocati Gaming Community Steam Group! 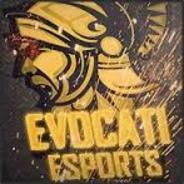 Hello and welcome to the Evocati Gaming Community Steam Group! This Steam Group is mainly used to alert people of upcoming events happening within the community, so make sure to join! WE WILL BE PLAYING GARRY'S MOD!! Please be on the discord earlier, if possible, so we can set up the game mode according to whoever is online! Buy it and play on the eVo server. You know you want to. Did the server go down for ROK? New logo updated to steam group.